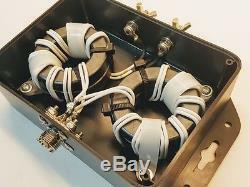 BL154-3K-4:1 BALUN (200:50 Ohms). 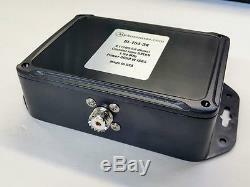 This Current type 4:1 (200:50 Ohms) BALUN is another product designed to give you peace of mind. 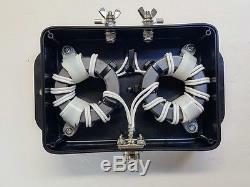 Dual double cores, total of four (4) 2.4 inch (61mm) wound with PTFE silver plated 14 AWG stranded wire will give you a lot of room to use it with your Doublet antenna fed by twin lead or just any other application needing 4:1 impedance transformation. 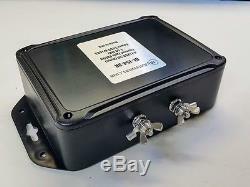 It covers 1-54 MHz with almost perfect VSWR terminated into 200 Ohms load. Unlike other companies, we do not claim unrealistic power ratings. 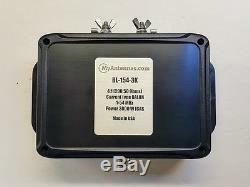 We are sure it will handle all you have up to a legal limit of 1500W in the US and even more. 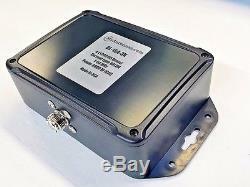 It is rated modestly to 3kW ICAS. Given the fact that is wound on double amount of ferrite material compared to similar designs it is expected to handle double of that power. Bifilar pair wound of AWG#14 Silver plated PTFE (Teflon) insulated wire on 4 large 2.4 (61mm) Ferrite cores for maximum Choking Impedance and bandwidth. Stainless steel hardware and connecting studs. 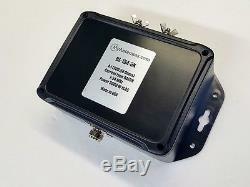 Enclosure with mounting bracket for easy installation on the wall. The enclosure has been tested for UV (Ultra Violet) exposure for past eight years with no impact on the material. 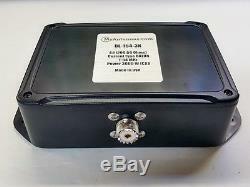 The item "BL154-3K-41 BALUN (20050 Ohms) 1-54MHz Current type- DUAL cores" is in sale since Saturday, February 25, 2017.